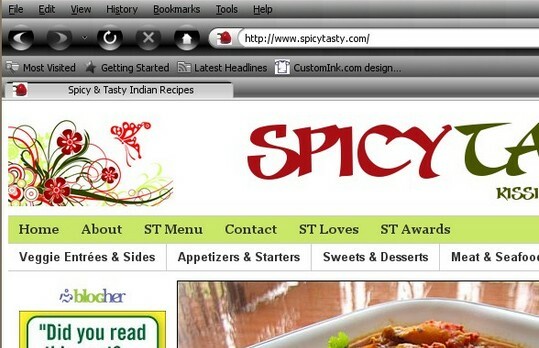 Firefox 3.5 beta 4 made its appearance this week along with the swine flu outbreak google maps mashups. Firefox 3.5 beta 4 introduced 2 cool new features – Private browsing mode and Undo closed window. Both work really nice. OutWit Images: You can collect images from web sources to your hard drive effortlessly with this extension. You smoothly scroll through pictures, filter and sort, drag and drop them into a collection basket. You can even automate this by setting size or format for eg. if you found a high-res picture behind a thumbnail, it will automatically extract it for you. Plus, the interface is very slick too. You should also check out OutWit Docs and OutWit Hub. Automatic Save Folder: You can filter files you download by extension or domain name and automatically save it to pre-assigned folders. This is a huge time saver if you download a bunch of files all the time from the Internet – personal or work. PixelPipe Media Uploader: I have been fond of Fotofox add-on to upload pictures to Flickr right from Firefox. Until I found PixelPipe! It supports uploading to over 75 desctinations including, Flickr, Facebook, Twitter, Photobucket, YouTube, MobileMe, Box.net etc. It supports uploading both pictures and video! You have to create an account at Pixelpipe.com and add ‘pipes’ to services you use before you can upload from Firefox. Unofficial Google Translate: Right click, select the languages you want, and click translate page. You can also highlight text and alt+left click or alt+ middle click or ctrl+alt+left or middle click for an in-place translation. You can read ShanKrila in your language by clicking on the language button in the site sidebar. If you don’t see your language let me know and I’ll try to add it. FoxyURL: Another URL shortening service that does its just job plain and simple. No bells and whistles. One advantage with this service is that your url is stored indefinitely. Gmail Compactor takes the cake this week for me. This script gives you vertical space in Gmail by compacting the sidebar links into clear icons. Plus, it saves real estate by removing unused space in the header as well by moving search to the left. I love Gmail Greasemonkey Scripts and this one is a must have for me. Black Steel is my Firefox theme pick this week. I love dark themes and this one sleek and simple. If you haven’t tried a dark theme yet, it is easy on your eyes if you choose the right one. The font could have had better visibility but it isn’t that bad either. If you’d like to find more top Firefox extensions, greasemonkey scripts, check out the previous posts in this series. There is a goldmine of add-ons there. Greasemonkey is probably the single plug-in to rule them all 🙂 What I like most is that I don’t have restart my browser after installing any of the GM user-scripts.